Engineers spoke and Simpson Strong-Tie listened! For anyone who enjoyed the functionality of the Simpson Strong-Tie’s Connector Selector® software, they have just released the Joist Hanger Selector web app. This new web application guides users through the process and helps you to select the best and more cost-effective hanger for a project based on the lumber type and size, the type of installation, and the loads involved. The easy-to-use web interface enables users to quickly select the connection details and print out results, all completely online without ever having to download any software. The system automatically calculates the allowable loads to reflect reductions due to modifications. 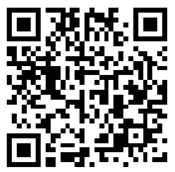 Give the web app a try at www.strongtie.com or by scanning the code below. There will be a video tutorial on how to use this new tool coming soon. When the video is completed, it will be posted at the top of the page that the tool is on. Thanks for sharing Russ! We’ll be sure to share that video when it is posted! Users can also post questions here and I will respond. I was heavily involved with the development of this app and know the ins and outs of it. We are glad to hear that and will be sure to let our customers know you are the go-to contact with any questions. Thanks Russ! Your input and help will be greatly appreciated!